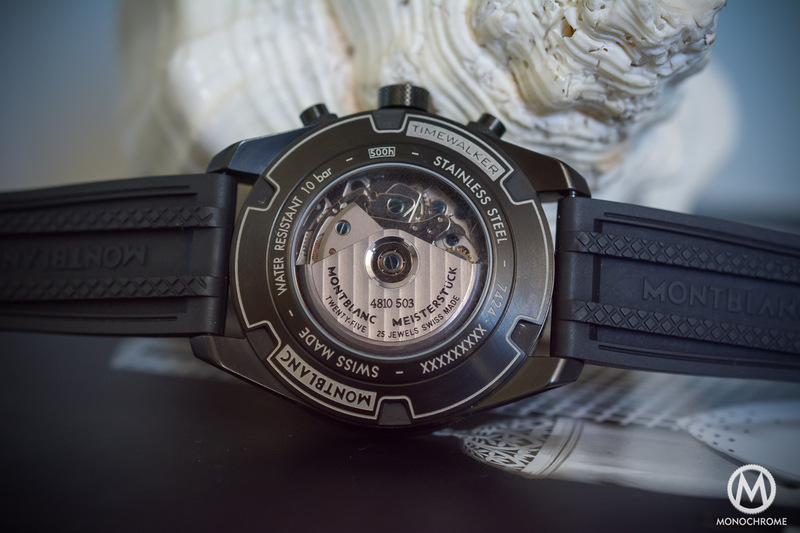 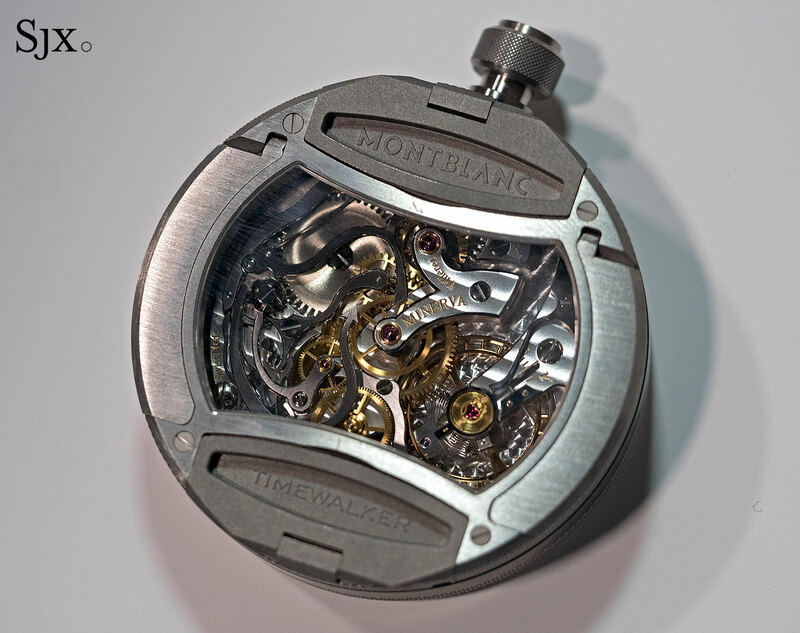 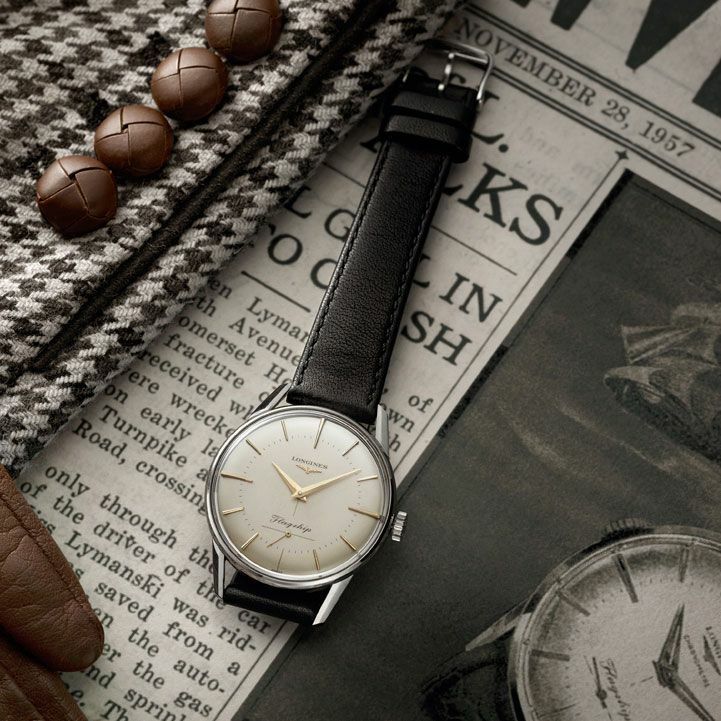 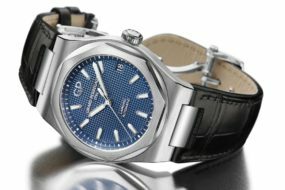 By the end of 2015, the former design and product manager of Tudor, Davide Cerrato, would change to Montblanc as a watch director, many expected an offensive in the sporting sector. 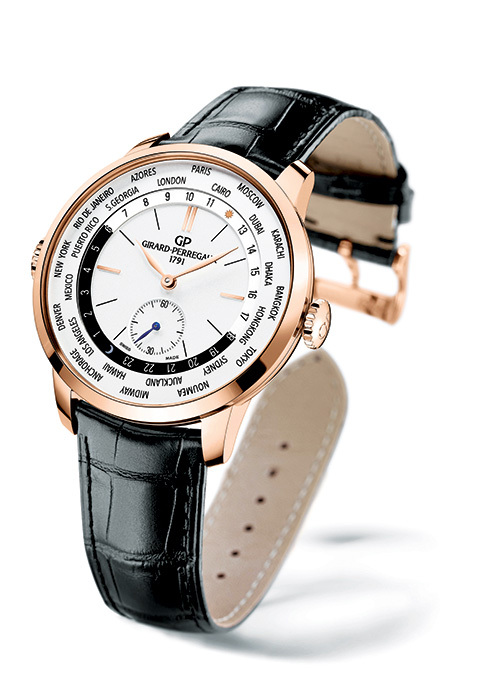 This comes now in the form of a completely rounded TimeWalker line. 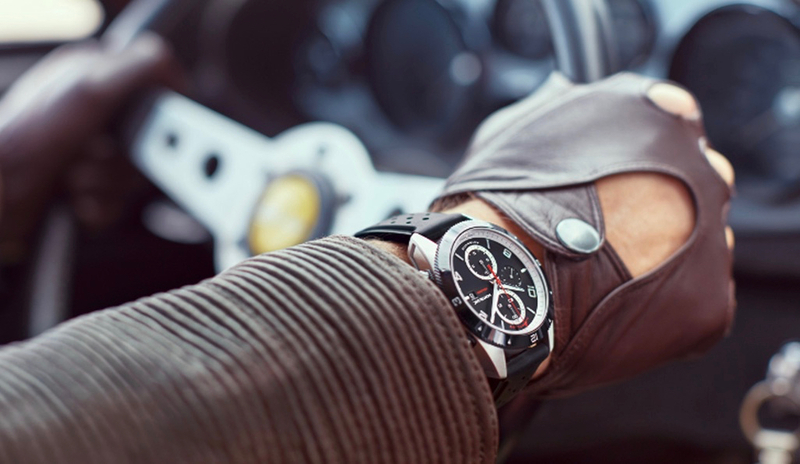 The heart of the new models is the TimeWalker Chronograph UTC. 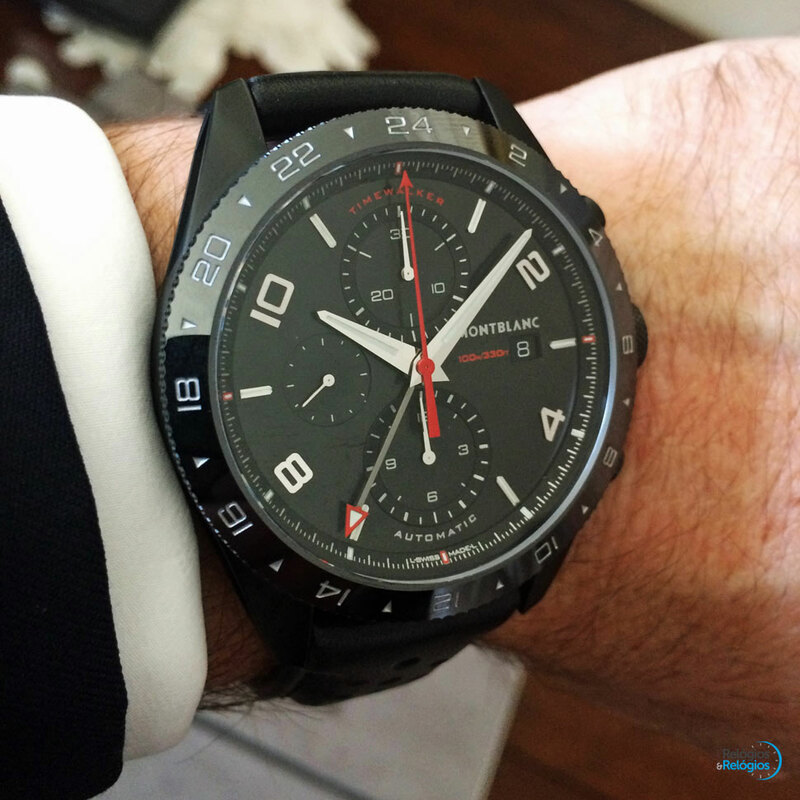 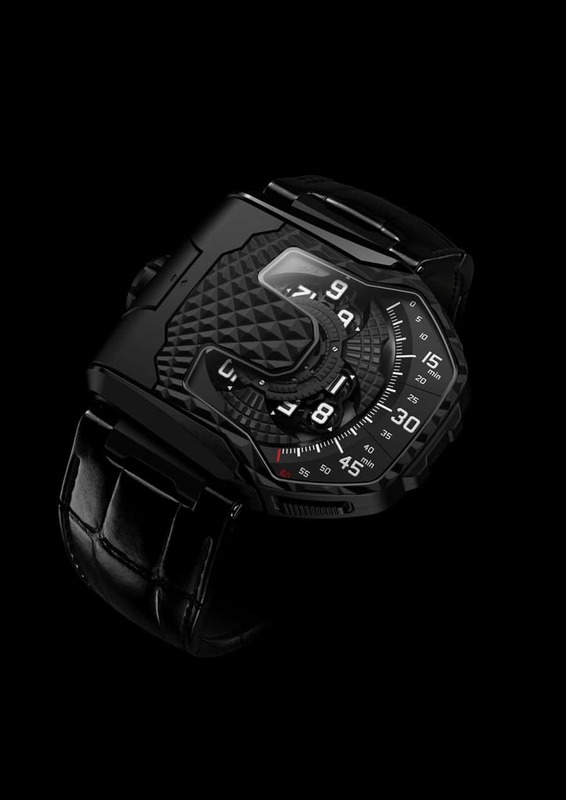 It is presented in a blackened stainless steel case with black ceramic bezel. 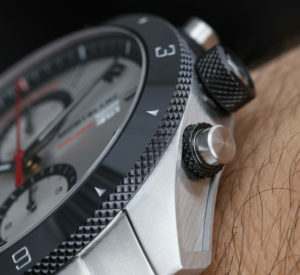 The black of the dial is contrasted by bright hands and numerals as well as several elements in red. 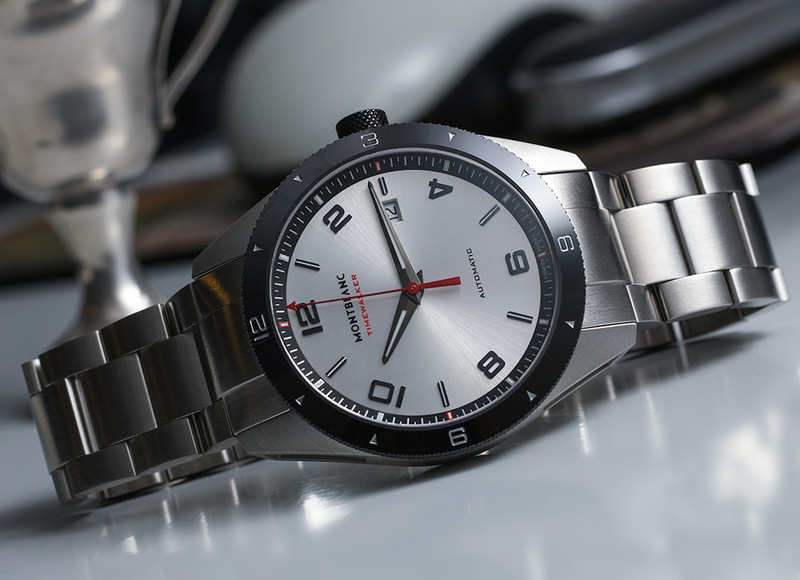 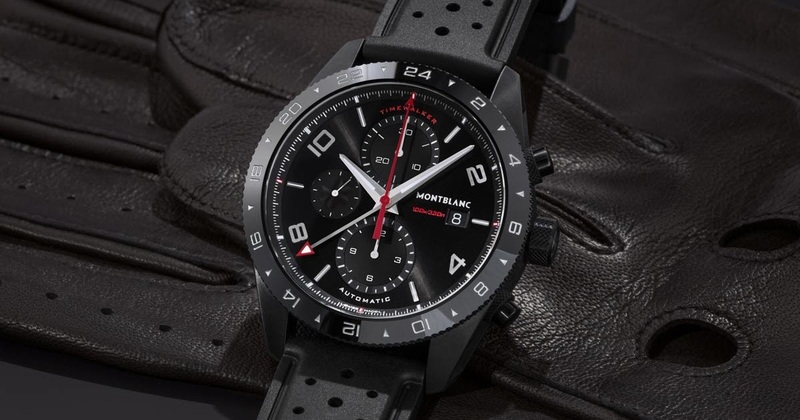 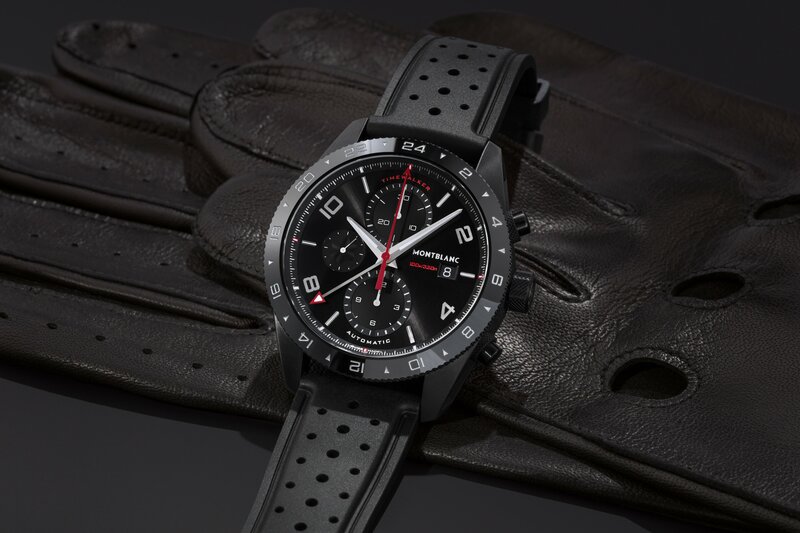 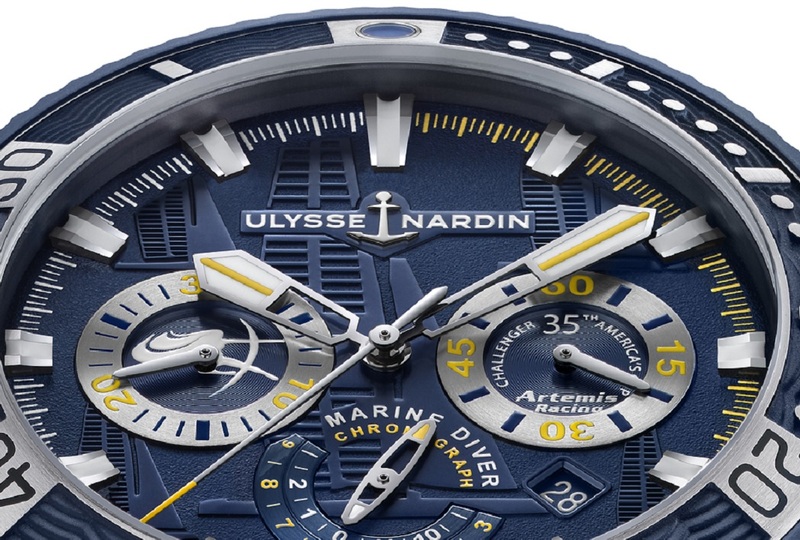 Besides the model name, the markings at the three, six, nine and twelve and the indication of the water density of 100 bar, this is the arrow-shaped second counter of the chronograph and the tip of the UTC pointer. 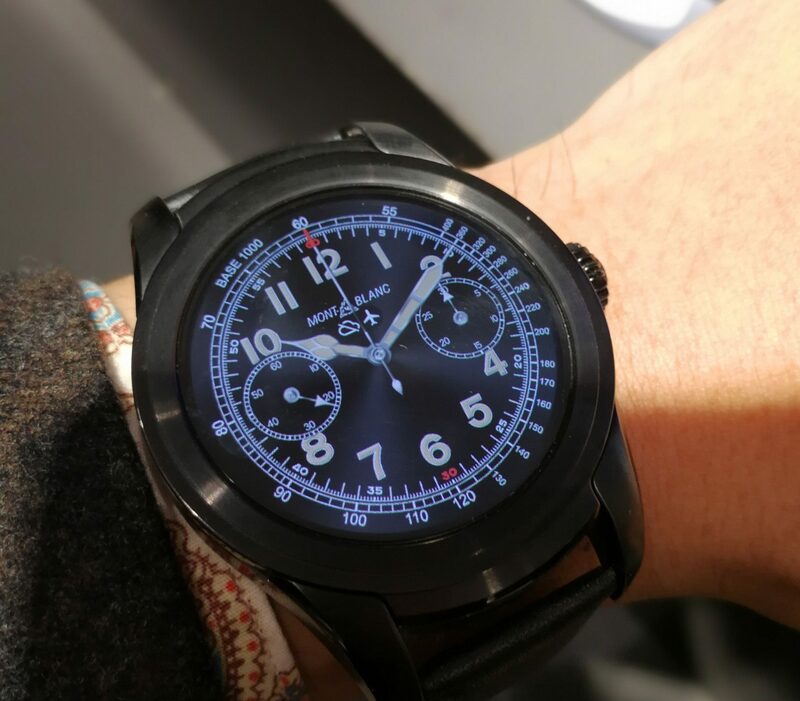 This refers to a second time zone on the bezel, which can be turned on the outer edge thanks to a fine ripple. 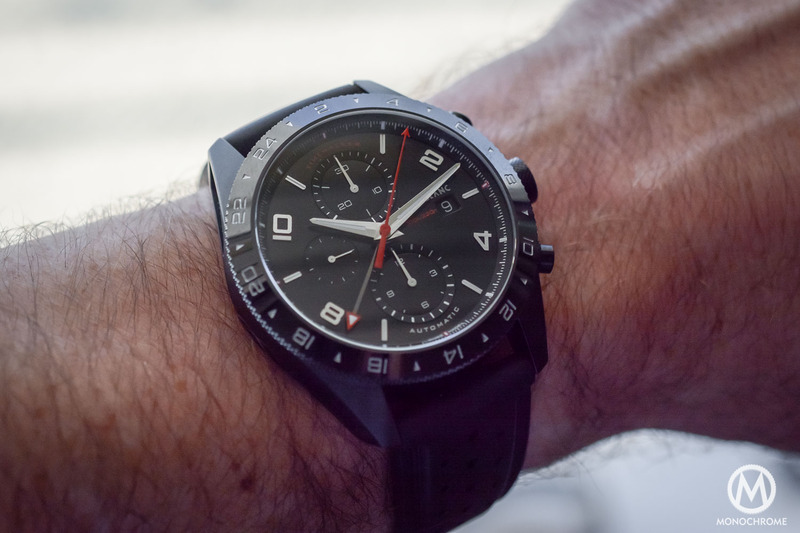 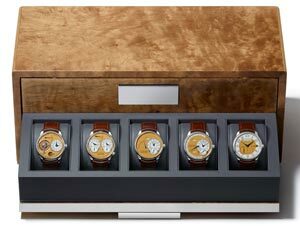 So you can swap the selected second time zone quickly for another.The eta-Valjoux 7754, however, does not allow for an hourly adjustable central hour hand. 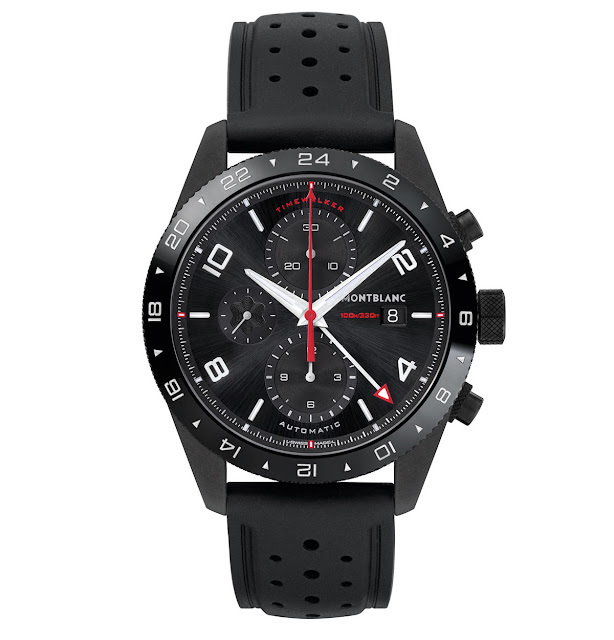 The sporty look of the 4.990 Euro expensive watch is rounded by a perforated black rubber strap and a matching case size of 43 millimeters.